The Labyrinth at St. Mary's, located on the East Lawn of the parish grounds, is open for public use from dawn to dusk every day throughout the year. Members of St. Mary's congregation in conjunction with the Community Foundation of Morgan County and Morgan County Master Gardeners created this community labyrinth in 2012. We are proud to present this spiritual resource for all visitors. It is one of the gifts that St. Mary's offers to the city of Martinsville and the Morgan County area! Come and explore this classical and ancient way of prayer that has been used by millions of Christians through the ages. There is no fee or appointment necessary to use the labyrinth for your own personal spiritual needs. For more information or to schedule a group labyrinth walk, let us assist you by contacting the parish office. The labyrinth is a walking meditation based on the circle, the universal symbol for unity and wholeness. They are found in many religious traditions and are a spiritual practice that connect our spiritual journeys with the various journeys of our lives. 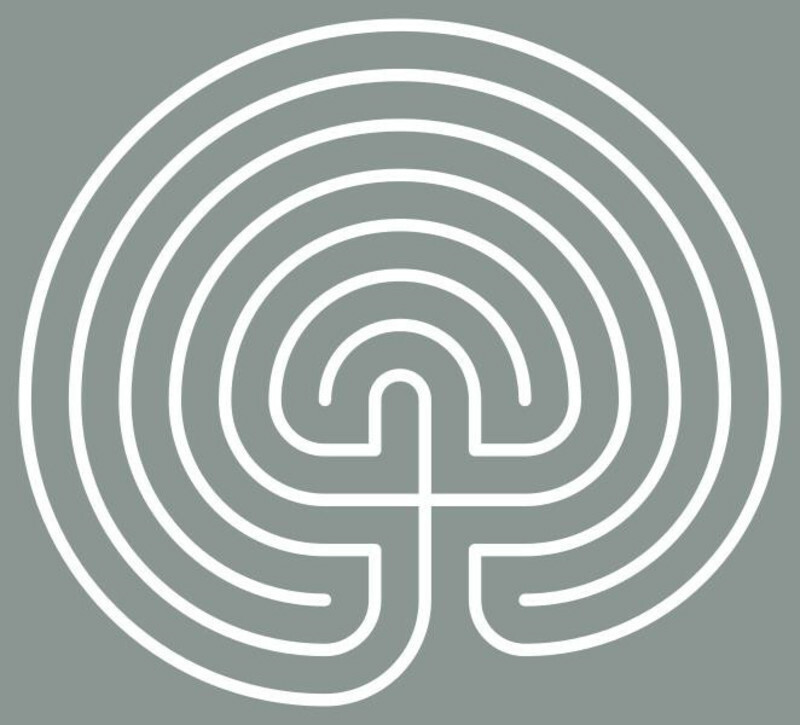 The one located at St Mary's is a classical 7-circuit labyrinth and is a replica of the classic Cretan labyrinth dating back to more than 4,000 years! Today this labyrinth pattern can be found all over the world. The labyrinth is not a maze. It has only one path in and out so there are no tricks and no dead ends. There is one circuitous path that winds into the center. The person walking it uses the same path to return, and the entrance then becomes the exit. The path is in full view, which allows a person to be quiet and focus internally. 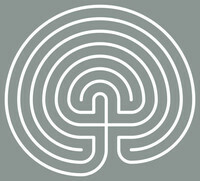 The labyrinth pattern has been described as a mirror or a metaphor for where we are in our lives. For many, the labyrinth touches our sorrows and releases our joys. We invite you to walk with an open mind and an open heart. Entering ~ The walker follows the path toward the center, shedding worldly concerns and quieting the mind. Illumination (Receiving) ~ The walker spends time in the center, receiving whatever God has to offer. This is a time of peacefulness and openness. When you reach the center, stay there as long as you like. It is a place of meditation and prayer. Receive what is there for you to receive. Union (Returning) ~ The walker journeys outward, taking the message found in the center out into the world.